Deluxe edition. Double translucent LP version. Gatefold sleeve. Includes CD. 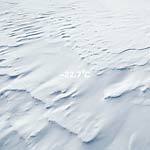 Mille Feuilles present a deluxe edition of Molecule's album, 60° 43' Nord. Some associate the sounds of waves to heat and relaxation. Others visualize the sea as a wide playground from which they can pick up the echoes to turn them into a deep sound. For 60° 43' Nord, Molecule decided to record the wild voices of the Atlantic Ocean aboard a 90 meters long fishing boat. The result is made of powerful and danceable techno beats ("8 ZL 40"), tracks that will take you directly to the Atlantic's depths ("Abysses"), and harmonious moments of time off ("Le Jardin" or Soleil Bleu"). 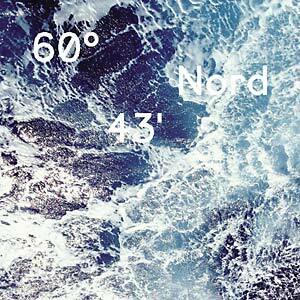 60° 43' Nord is captivating and flows. Features the full album on CD 1 and a live version on CD 2. Comes in digi-sleeve, with a 16-page booklet.